"Intercasino has been accredited at Casinomeister since 1998 - I would recommend them to my best friend." 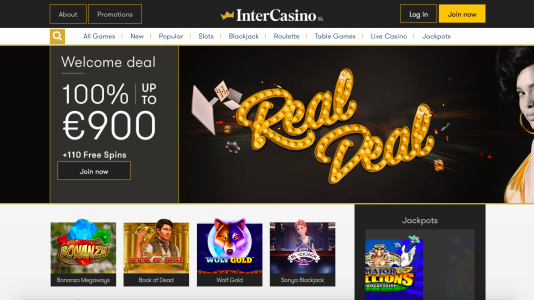 Intercasino was one of the first casinos that we brought on board at Casinomeister. In 1998 I was approached by their casino staff who were interested in being listed on the site. Already at this time, they had extremely high standards, and I used their casino to lead by example as a template for an Accredited Casino. Since their inclusion, they have always been rock solid in their commitments to their players upholding their standards and giving all of us what we would expect out of a well managed operation. They were Awarded Best Casino 2002, and numerous other awards over the years at Casinomeister. Their status has dropped over the past couple of years mainly due to inactivity on the site, and their score suffers because relatively slow payouts and reverse times. I’m hoping that they will be able to tighten this up a bit in the near future and become once again a top scoring casino at Casinomeister. Intercasino Terms and conditions Apply.